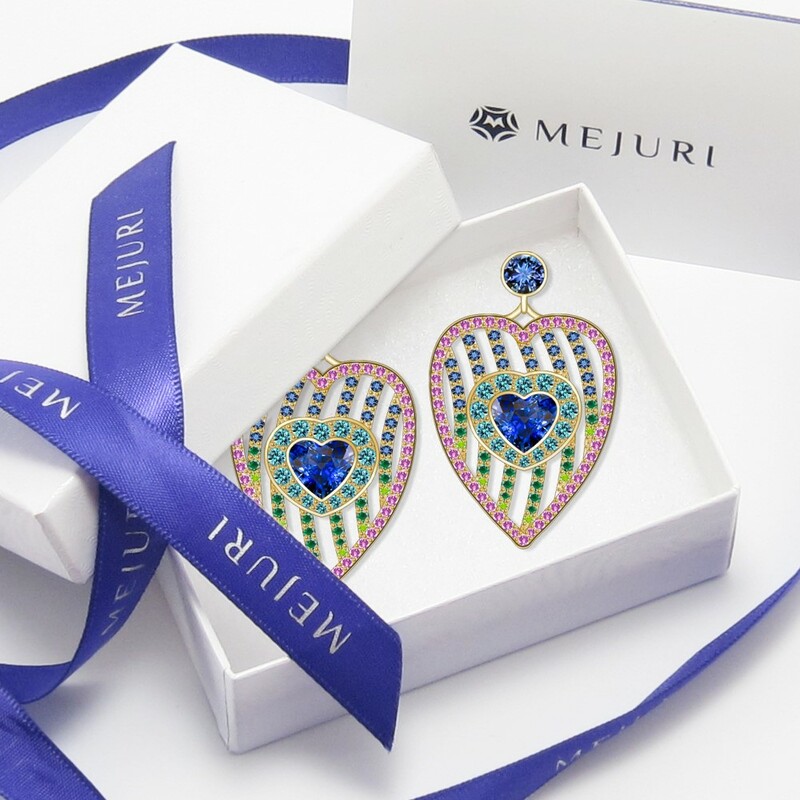 Our design, Peacock Feather earrings, is participating in the Time to Celebrate design challenge held by Mejuri. 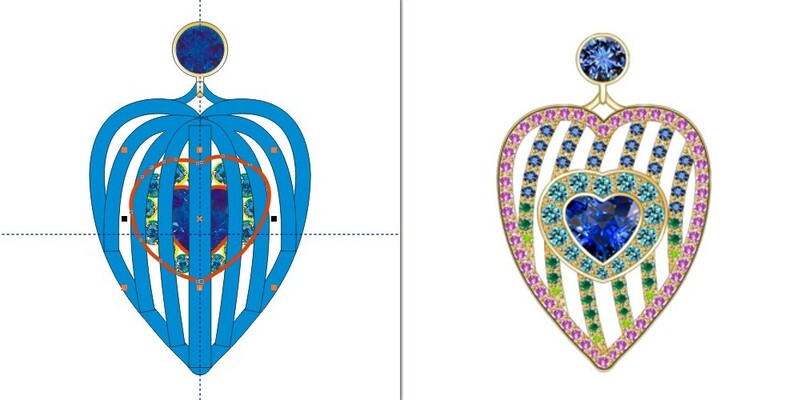 We initially wanted to submit two designs, but a crisis happened and threw us off the course. Still, one is better than nothing. 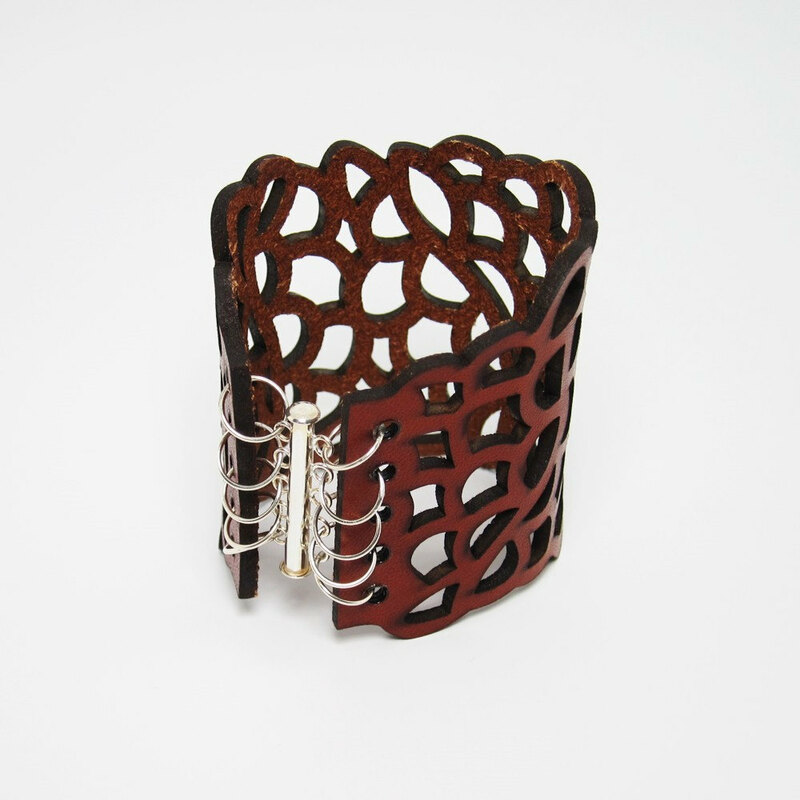 I developed the principal design and Ken helped me to refine it. 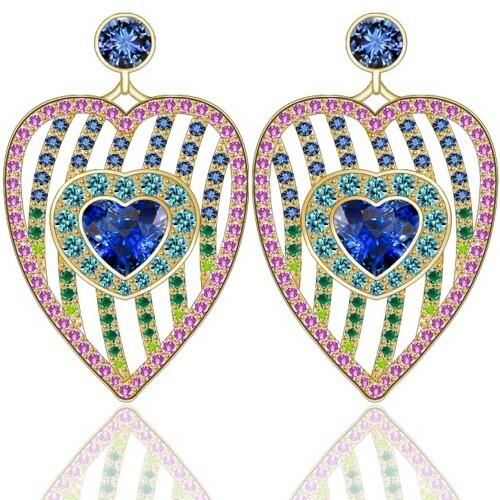 Design is inspired by the beauty of peacock feathers. Fancy tails of male peacocks is one of these strange appearance features that randomly evolve in the genotype and then remain there, if there is any link between the feature and the increased productivity of the species. The process is called Fisherian runaway, after famous English scientist Sir Ronald Aylmer Fisher who had developed this theory. In reality the process creates a circle when females choose males with this feature, males form the feature to be chosen by females, and at the end females also choose males with the feature, so they can produce highly desirable children. Sometimes feature becomes so excessively developed (as in case with the peacocks), that it burdens the life of the feature bearer. In that event females will also choose such male not only for appearance feature, but also for good health and smarts that allowed him to survive with such burdensome feature. The whole process really reminded me of the social networks and popularity following. People often look at how many friends, likes or followers a person has before deciding to follow that person. 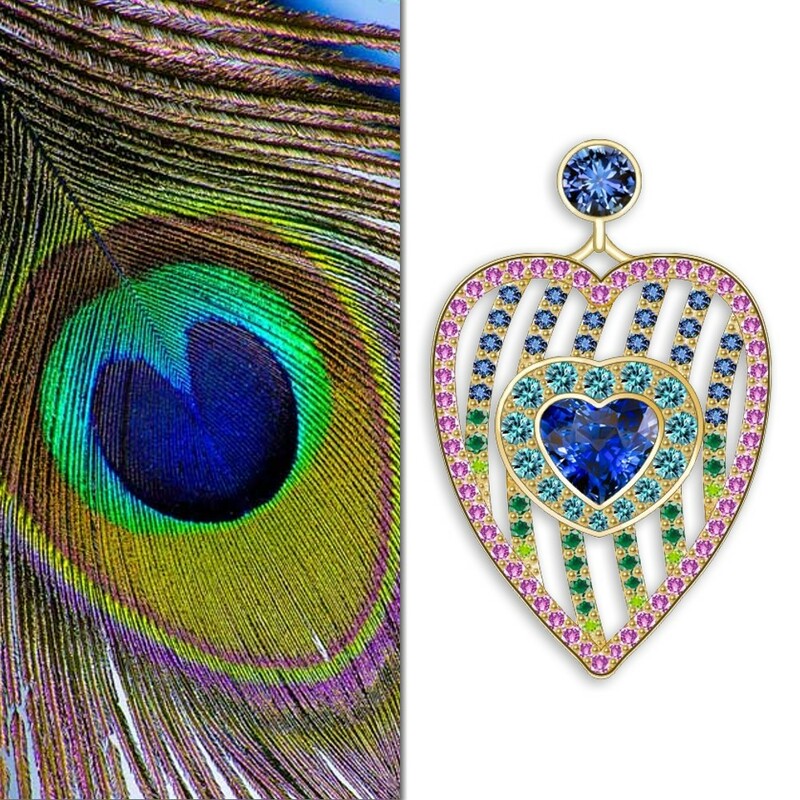 The similarity is even more exacerbated by the fact that center of a peacock feather resembles a heart. 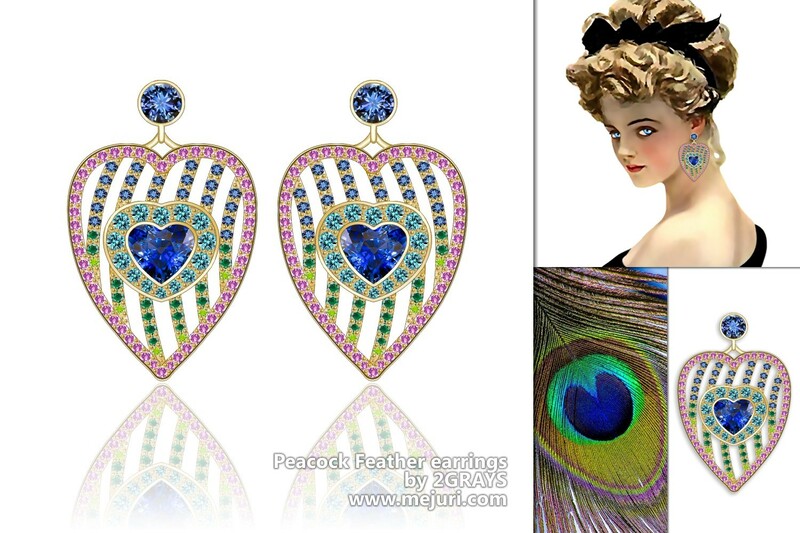 Initially I wanted to have earrings precisely follow the shape of a peacock feather – see the hand sketches and the initial digital sketch. However, making them that way would make stone setting hard to impossible to do, in addition to the intervals between the lines looking rather weird, so we decided to alter the design. 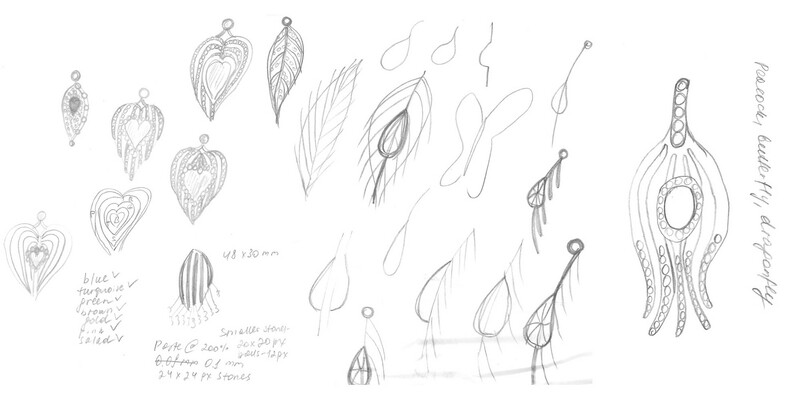 I still wanted to preserve this free feeling feathers create, that’s why I made lines following in one direction on each earring, and then they both together form feather-like pattern. And then we went on to promote the design and ask people to vote for it! 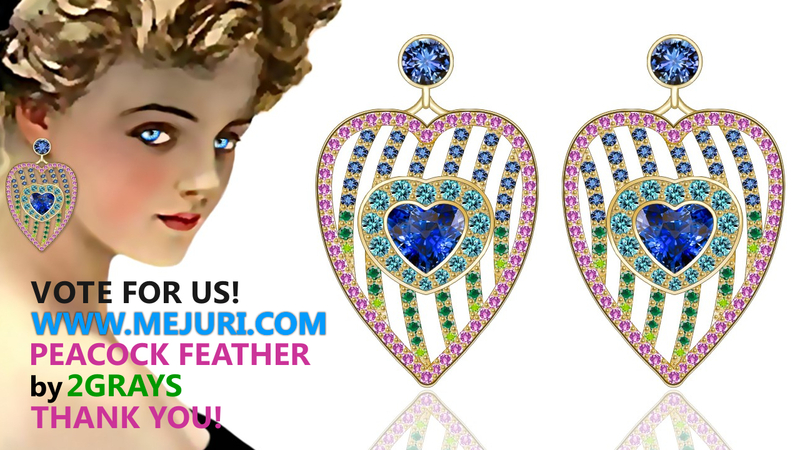 The voting is still open and will be open until August 15-th, so please use your chance to support us and vote here: http://mejuri.com/designs/287-peacock-feather If we win, our design will be manufactured. Our Google Plus cover image. 1280 px x 720 px. Created in Corel PhotoPaint X4. Our Facebook cover image. 100 px x 350 px. Created in Corel PhotoPaint X4. 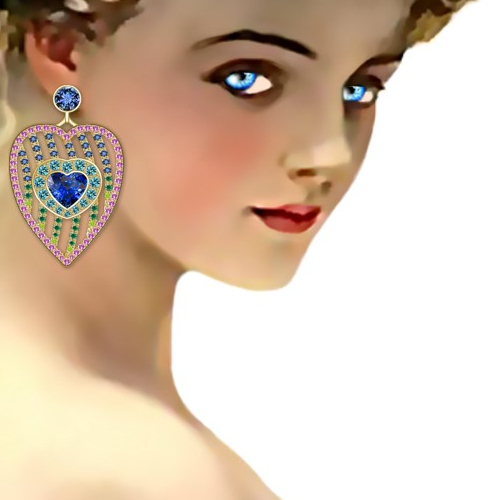 Our Twitter background image. 1600 px x 585 px. Created in Corel PhotoPaint X4. Image orientation – click “center”. Was REALLY hard to get it exact. Twitter gives you no clues :). Our YouTube channel art. 2560 px x 1440 px. Created in Corel PhotoPaint X4. Can be viewed on a number of devices, including PCs, laptops, smartphones, and TVs, without distortion. And finally – our website banner – the one you see right above this post :). 927 px x 223 px. Created in Corel PhotoPaint X4. Я проголосовала. Очень красивые серьги!